WHEATFIELD, N.Y. (WKBW) — Toronto based FroggaBio has chosen Western New York for its first US location. 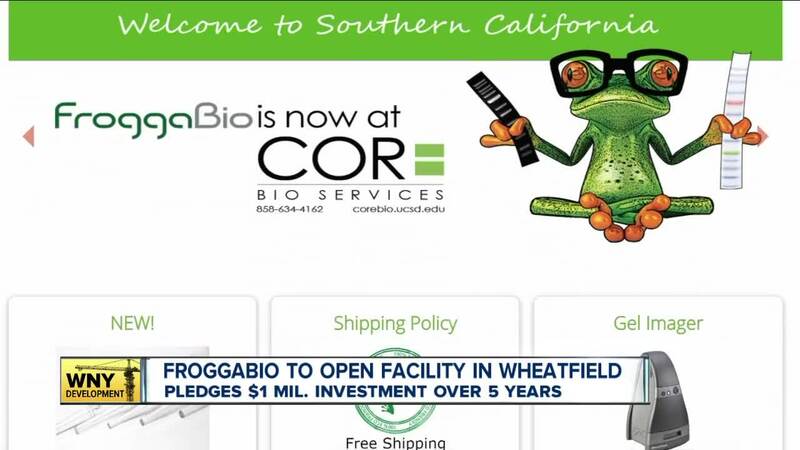 FroggaBio is a life science company that distributes laboratory products, supply instruments, reagents and disposables to biotechnology and pharmacutical companies, researchers, and hospitals. Their US hub, which will be placed in the Town of Wheatfield, will employ 15 people as part of a $1 million investment by FroggaBio. "We already have clients and individuals in Buffalo," Moshe Kapelnikov, president of FroggaBio's US operations said, "We are very excited." FroggaBio was attracted to this US location through Invest Buffalo Niagara , who showed the company how well the medical industry is doing in Western New York. "The regions growing life sciences cluster, the growing Buffalo Niagara campus, the growth of UB as a leading research institution are all attractive assets" Invest Buffalo Niagara director of business development Alan Rosenhoch said. The 15 jobs will start to become available soon, if you are interested, check the FroggaBio website here .